The visual effects company DNEG has released a quick breakdown of some of the work they did on Deadpool 2, per /Film. The three-and-a-half minute video has no narration but shows the digital layers behind scenes like the skydiving sequence, the convoy chase, and Deadpool’s attempted suicide by way of exploding several barrels of gasoline. You can check out the video below! Directed by David Leitch, Ryan Reynolds reprises his role as the Merc with a Mouth alongside Zazie Beetz (Atlanta) as the luck-manipulating mutant Domino and Josh Brolin (Avengers: Infinity War) as Cable, the time-traveling son of the X-Men’s Cyclops. Jack Kesy (The Strain, Baywatch) stars as Black Tom, with Japanese actress Shioli Kutsuna and Julian Dennison (Hunt for the Wilderpeople) playing Yukio and Firefist. There’s also the upcoming Once Upon a Deadpool, which will contain footage from Deadpool 2, but edited down to a PG-13 format which means cutting some of the violence and language. 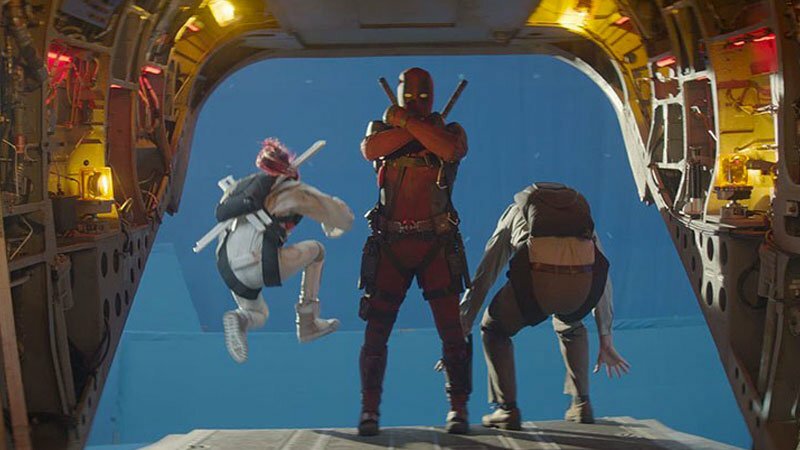 Fans can also expect new footage “in the form of a framing sequence” in the revamped film that Ryan Reynolds and writers Rhett Reese and Paul Wernick devised for the project.